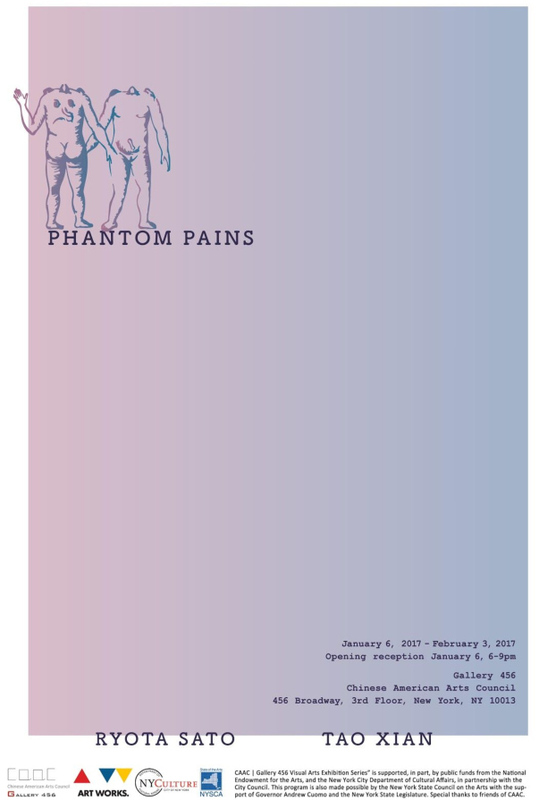 Phantom pain refers to a painful sensation caused by body parts that have been amputated. The limb is gone, but the pain is real. People who experience phantom pain are often reluctant to address this sensation, for the fear that they will be considered crazy, as if they are haunted by a ghost. Patients wander within the field between perception and reality. In Phantom Pains, Ryota Sato and Tao Xian, will explore this intermittent spectral realm of mediation in different ways, yet with the same goal of unraveling the layered statuses of perception. With practices including installation, painting, and video, the artists question the function of images as a point of contact when examining perception mediated by our bodies. Their works negotiate the distance between the image and the reality it signifies. Sato’s project, Why is the internet so slow, attempts to teach nature, the wonders of Nature. He has set up a pedagogical system for nature to understand and learn human ideologies of Nature. Sato’s interests lie in how the human gaze functions as a primary tool for understanding and shaping the idea of Nature. The desire to see ghosts engages in the same methodology as the desire to see Nature in its perfect form. Thus, the desire to see ghosts fuels and trains our gaze to summon ghosts to appear before us. Our bodies function as observatory machines that constantly cross-check ideology and reality, which are two separate domains that never meet. However, these observing bodies create a space or portal where only ghosts can exist. 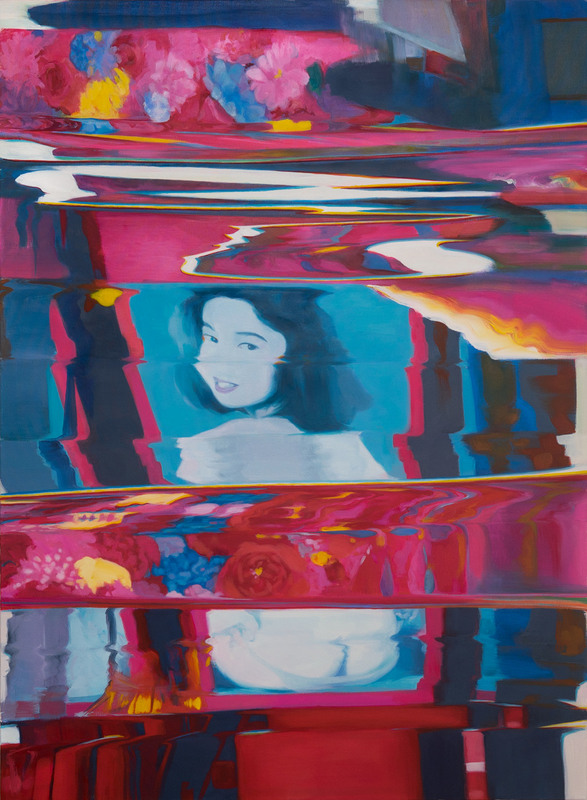 Tao Xian has been making works that examine the faultiness of preserving memory. In particular, her work focuses on the sense of alienation we all experience with respect to images, how they affect us while also creating a distance. Our memory is recreated and distorted every time we access it. To her, the failure of retrieving a memory is like dealing with a ghost – you want to see it but can never. She is interested in seeing what happens when things that belong to the past meet the digital process, how the result then speaks to the viewer, what will be lost, and what can still be recognized. In Phantom Pains, Tao shows a series of paintings that are representations of digital accidents that had occurred within a scanner bed. 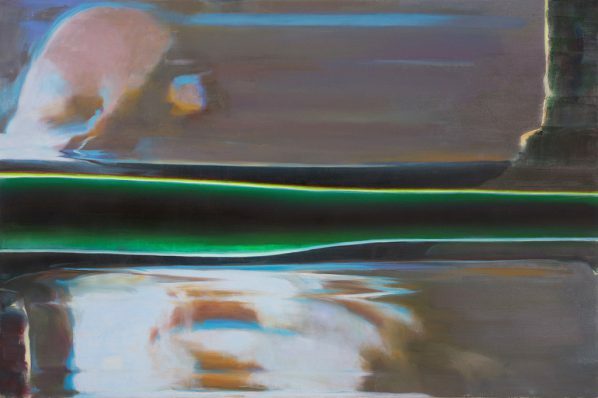 She uses painting as a means to represent the moment of transformation, when the image is neither visible nor invisible, neither physical nor digital. Courtesy of the artists and Chinese American Arts Council, for further information please visit www.caacarts.org.